RENO, NV AUGUST 11, 2011 – Roger Norman is pleased to announce his newest venture with Wide Open Excursions, LLC as an owner and business partner. Norman played a key role in opening Wide Open Reno at the Tahoe Reno Motorplex on August 1, 2011 and has assumed an investment role with the organization. “Wide Open Reno was such an exciting project that I decided to invest in the entire organization to help propel the brand to new heights, we truly have one of the most unique and exciting products in the adventure travel market and we need the world to know it,” said Norman. “This is a huge leap forward for our company,” said Brent Fenimore, Managing Director and Vice President of Operations. “With Roger’s off-road background and his entrepreneurial spirit, we are looking to develop Wide Open into the premier off-road international brand.” Norman and Wide Open go back a number of years to the 2004 Baja 1000 when Norman claimed a 4th place finish in the Wide Open Baja Challenge class co-driving with Bob Sutton, Rod Millen, and actor Paul Newman. In the 2005 Baja 1000 Roger teamed up again with Sutton, Millen, and Mike “Mouse” McCoy for a first place finish in the same Baja Challenge class. Norman developed his current Norman Motorsports team to compete in the Unlimited Trophy Truck class at desert races in Baja and the US. Norman’s racing continues with much success including a 1st, 2nd and 3rd overall finish in the Baja 1000 in the last three years and a Mint 400 win among many other reputable accomplishments. With this partnership, Norman’s Trophy Truck will be proudly branded with the Wide Open logo starting at the upcoming Best in the Desert Vegas to Reno race. Wide Open Excursions maintains its operations in Ensenada, Mexico and expanded its operations in Cabo San Lucas earlier this year. 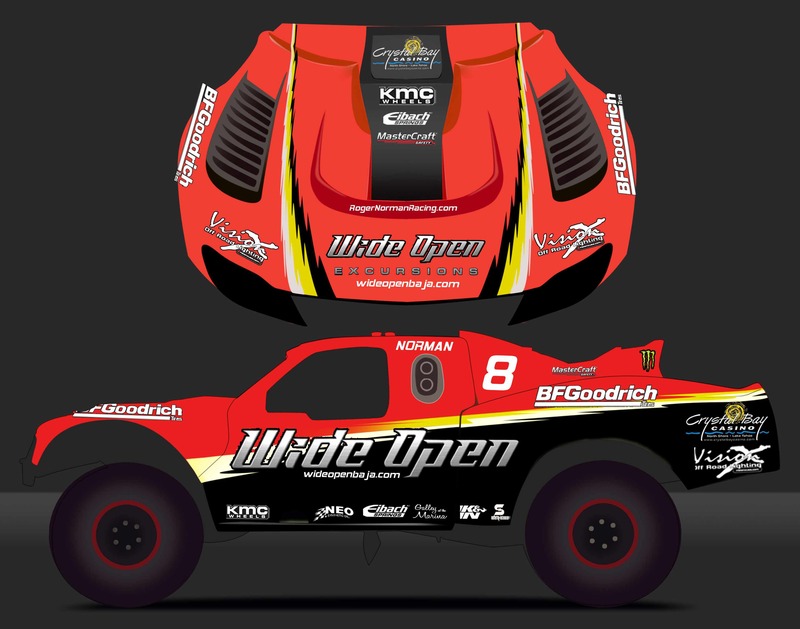 Wide Open Utah was launched earlier this summer under an agreement with Miller Motorsports Park in Tooele, Utah and most recently opened Wide Open Reno at the Off-Road Mecca known as the Tahoe Reno Motorplex on August 1st. R. Brent Fenimore, Managing Director / Vice President of Operations; Robert J. Smith, Vice President of Sales and Marketing; and Fred M. Blum, Vice President of Business Development will continue as owner/members in their current roles with Roger Norman stepping in to work with the entire team.